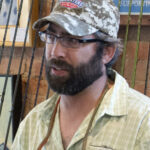 Welcome Sean Polk to Tailwaters Fly Fishing Co.
Sean Polk settles in at Tailwaters Fly Fishing Co., Dallas, Texas. I met Sean Polk a few years back when he was pretty fresh at the Dallas (Preston) Orvis. 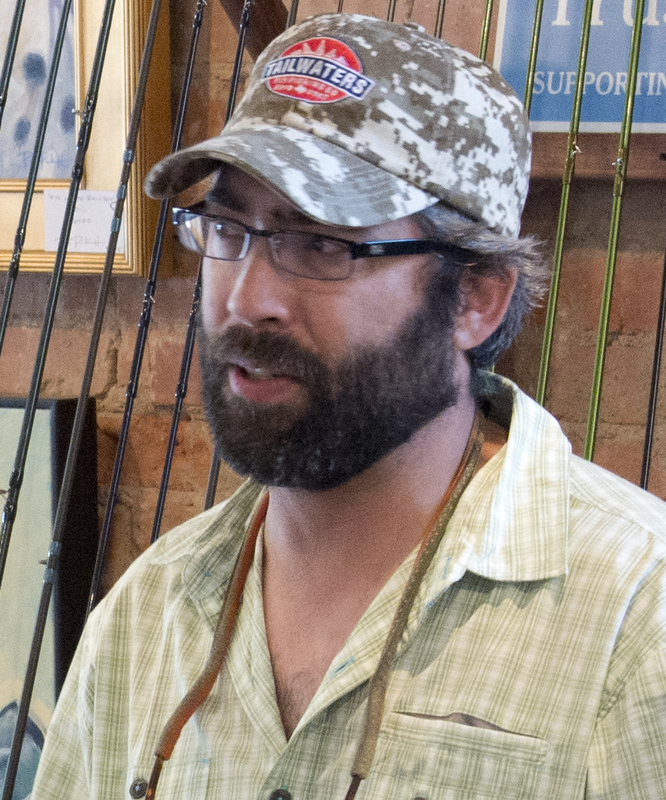 He was working with another friend Dusty Montgomery, and I was immediately impressed by his knowledge of fly fishing and willingness to share information about fly fishing freshwater, saltwater, fly tying and fly gear … basically everything fly. I heard the rumblings that Sean was relocating to Tailwaters, and it made perfect sense. Tailwaters, if you have yet to visit, is the only mom-and-pop fly shop in the Dallas – Fort Worth Metroplex, and has the best selection of the best fly gear – A to Z – in the area. 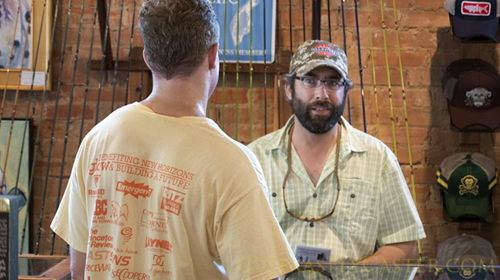 Sean talks rods and reels at the Anniversary party last Saturday. “Everyone (at Tailwaters) did a great job with the anniversary party. It was very successful for us,” he said. As for Tailwaters merchandise, along with all the great names you can find in most quality fly shops, Sean couldn’t believe Tailwaters actually landed Sweetgrass Bamboo fly rods, a rod not widely known to be in fly shops anywhere. Sean leaves behind a long trail of places worked in the name of fly. In 2003, he went to work for Bass Pro, 04-05 Blue Heron, 05-06 Cabela’s, and had been at the same Orvis store in Dallas from 2006 until coming to Tailwaters this month. 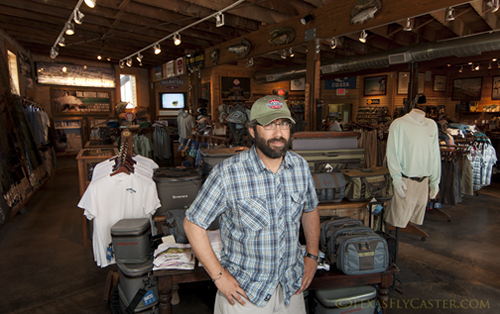 If you are in the DFW area, and haven’t visited Tailwaters Fly Fishing Company yet, why not? Stop in, check out the fly selection as well as merchandise you will never find in big box fly shops. As always, drop the Texas Fly Caster name and see if it gets you kicked out!